The home run is overrated. It’s especially overrated after the last 15 years of baseball when the 600 home run club went from three members to seven. It’s overrated and it’s overdone. I can understand how veterans like Ty Cobb scoffed at the new fame of Babe Ruth. The home run requires little strategy – hit the ball over the fence and everyone one base and yourself scores a run. The home run is a rally killer. Your team is getting walks and hits and then someone hits a home run. Sure, the team just scored at least one run, but if there was anyone on base, there isn’t anymore. Now, when a player spanks a double into the gap, that’s excitement. A double into the gap or corner or off the wall brings at least two runs home with the bases loaded and when it’s over, there’s at least one man left standing in scoring position. There are more possibilities for the on-deck hitter after a double. To paraphrase Bull Durham, it’s more democratic. Home runs are fascist. 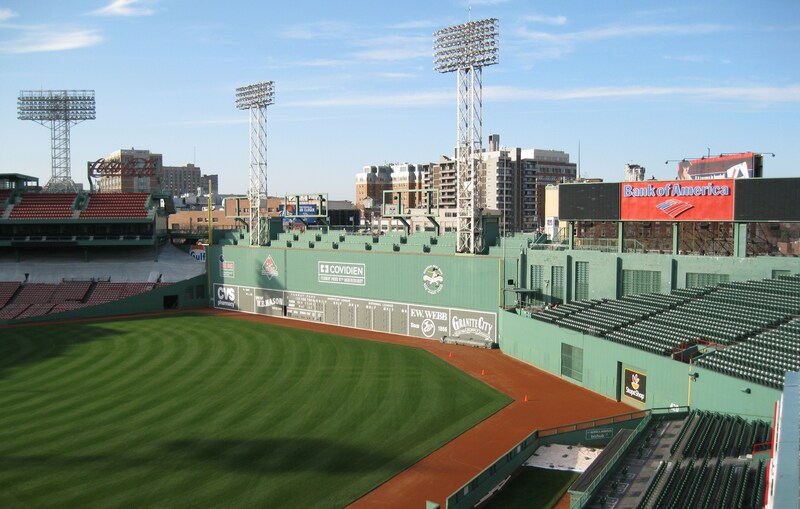 The walls of Fenway Park have contained many doubles over the years - just ask Speaker and Webb. There’s mystery to a double. There’s speed to a double. There’s hustle in a double and yes, there is some power involved too, but in moderation. Doubles down the line are usually within a few feet of being outs – a hard line drive just past a diving first of third baseman’s glove and into the corner. Doubles in the gap create a whirlwind of outfielders scrambling for the ball before it hits the wall. Sometimes doubles can be, unfortunately, disappointing, when they bounce off the outfield wall. Television commentators talk about how close the double was to a home run as numerous replays are shown. Most baseball fans will tell you who owns the single-season home run record. They’ll also tell you who owns the all time home run record. Unfortunately, it’s the same person: Barry Bonds. Bonds hit 73 home runs in 2001 and 762 for his career – two records that, I hope, are never broken. I don’t wish them to remain because of the person who hit them, but I’m not a big fan of the home run and would prefer more strategy and … doubles! Few baseball fans will tell you who is the single-season or all time leader in doubles. Can you guess? These are records I want to see broken in my lifetime. The double is immune to the size of the ballpark. It’s more difficult to hit a home run in Safeco Field or Petco Park, but the double can still thrive in such spacious outfields. Because of this, the doubles records will be broken. But who will celebrate such a miniscule milestone? With the home run numbers falling (thankfully), the double should be celebrated. Tris Speaker’s all time doubles record of 792 can be broken, but it won’t be easy. Speaker spent 22 seasons compiling a record that has stood since 1925 when he passed Napoleon Lajoie. Speaker spent nine seasons with the Boston Red Sox, followed by 11 in Cleveland, one in Washington and his final season with the Philadelphia Athletics. At the age of 35, the Indians’ outfielder hit a career best, 59 doubles to go with his 133 RBI, 130 runs scored and a .380-.469-.610 offensive line. 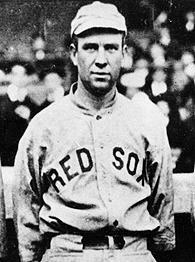 Tris Speaker's career doubles record has been approached and can be broken. One might think a record that’s been held since 1925 won’t be approached by today’s players who play a much different game. No, it can be broached and Pete Rose nearly did it. Rose smacked 746 two baggers in his career. Of course, Rose hit his last double in 1986. Can any of today’s player’s approach the record? Craig Biggio did. The longtime Astro hit 668 doubles (5th all time) in the era of the home run. Biggio didn’t play by the Selig era rules and he will be rewarded for this when it’s his turn to go to Cooperstown. Other players to retire in the last twenty years in the top fifteen are George Brett (665, 6th), Paul Molitor (605, 11th), Cal Ripken (603, 13th), Bonds (601, 14th) and Luis Gonzalez (596, 15th). Speaker’s 85-year old record can be broken and there are a few active players with a shot. The active leader in doubles is Ivan “Pudge” Rodriguez with 562. Pudge is in the twilight of his career at the age of 38 and will probably not approach Speaker. Alex Rodriguez, the newest member of the 600 home run club, has 469 doubles. He’d need 323 more to eclipse Speaker, which would average out to 50 doubles over the next six and a half seasons. This seems much more unlikely than A-Rod passing Bonds on the home run list (please don’t). Then there’s the case of the great Albert Pujols. The St. Louis first baseman has 410 two baggers and he’s still only 30 years old. Pujols would need 382 to tie Speaker. This averages out to about 40 doubles a year for nine and a half more seasons. Through nine full seasons, Pujols has averaged 43 a season. Speaker’s record is possible, but still not likely unless Pujols proves to be the next Hank Aaron and hardly declines through his thirties. There’s the Tigers’ Miguel Cabrera with 283 at the age of 27. He’s averaged 36 doubles in his first seven seasons. If Cabrera kept up this average through 13 seasons, he’d have 789, three short of Speaker. Cabrera has thirty this season already. David Wright is just behind Cabrera with 248 and is the same age. The truth is, a player needs an early start (Speaker was 19 when he broke in with Boston and 21 when he played his first full season) and needs a lot of plate appearances (Speaker had nearly 12,000) to approach the record. But there is the possibility of the single-season doubles record held by little known Earl Webb. Webb knocked 67 doubles in 1931 for the Red Sox. The most he hit in any other season was 30 in 1930. Webb’s doubles record sounds similar to Roger Maris’ former single-season home run record – one and done. The closest a modern player has come to approaching the single-season record was Todd Helton in 2000 when he hit 59 doubles. Carlos Delgado hit 57 in the same season and Garrett Anderson (2002), Craig Biggio (1999), Nomar Garciaparra (2002) and Brian Roberts (2009) all hit 56. I remember rooting for the Twins’ Chuck Knoblauch in 1994 to break the record before the strike stopped the season. The Minnesota second baseman had 45 through 109 games. A modern player can top Webb’s 79-year old mark. 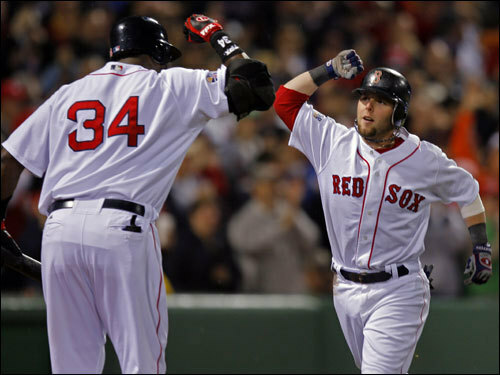 A player such as Roberts, Cabrera, Grady Sizemore, Dustin Pedroia, Evan Longoria or Jason Werth. It will take a lot of plate appearances, so a batting spot in the top three would be beneficiary. The right ballpark also helps and judging by Speaker and Webb’s records, Fenway Park is a doubles park. Based on these factors, Pedroia has the most going for him. He had 54 in his MVP season of 2008 and 48 the following year. Injuries have slowed his attempts this year, but he’s still only 26. Home run statistics became as overdone as the reality television. It’s time to focus on the double. If anyone can approach Webb's single-season record, it's Dustin Pedroia. Earl Webb is my grandfather and after baseball I had the great grandfather a boy could have….He taught me how to hunt, fish, shoot marbles, drive a car and many other things…and he did it in a fun way. I miss him to this day. We called him DaddyWebb…God bless you DaddyWebb! Ever think of cheering for the umpire? It can’t hurt.